A rower that has two other exercise machine capabilities? Can a home machine really transform successfully into three exercisers? I definitely had some questions when I came across the Stamina 15-9003, but it would be nice to have a rower that I could also use for stationary biking and strength training. This machine comes with a rather hefty price tag, so I had high expectations. Combination machines usually have to sacrifice something, somewhere, so I just had to know more about this machine. Here are the results of my research to find out what users say about the Stamina 15-9003 and whether it’s worth the asking price. The Stamina 15-9003 is a magnetic resistance machine. I won’t bore you with the details, except to say that it uses electromagnets to restrain the flywheel that spins when you pull on the pulley. The thing with this type of resistance machine is that it is very quiet. Did somebody say, “Get the popcorn?” Yes! 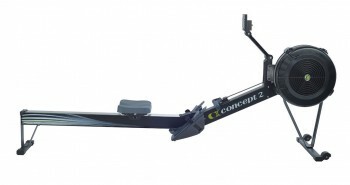 Because this rower is quiet, it’s a great option for exercisers like me who like to watch TV while they work out. Eight levels of resistance offer enough variety to give you a solid workout. 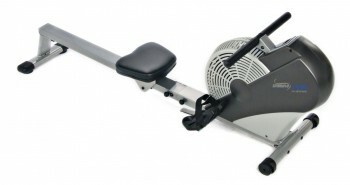 From what I have read about the 15-9003, I would say that people who are at the beginner or intermediate level of rowing, as well as people who may be recovering from injuries, will benefit the most from this machine. However, it may not offer enough resistance for athletes and those at advanced fitness levels. I love a great deal; with the Stamina 15-9003 you get a machine that you can use for three types of workouts for the price of one machine. Officially it is a 2-in-1 machine, but my research tells me that it has a useful third function. Not only is it a rower, it’s also a recumbent bike and a strength trainer. How great is that? 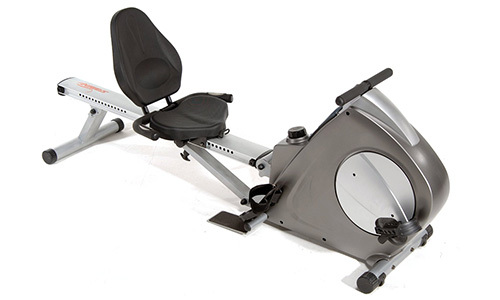 This versatile machine has a bucket seat, and its backrest is semi-inclined — just what you want on a recumbent bike. It also feels and looks like a recumbent bike and users all around said they were happy with the way that it functions in this capacity. The exercise pulley is what you would use for strength training. Changing among each functions doesn’t take more than a few seconds. I don’t want to get a whole workout just having to pull parts of my machine apart and reconfiguring them to get to the next phase of my workout. The Stamina 15-9003 wins major points for seamlessly integrating these three functions into one machine. 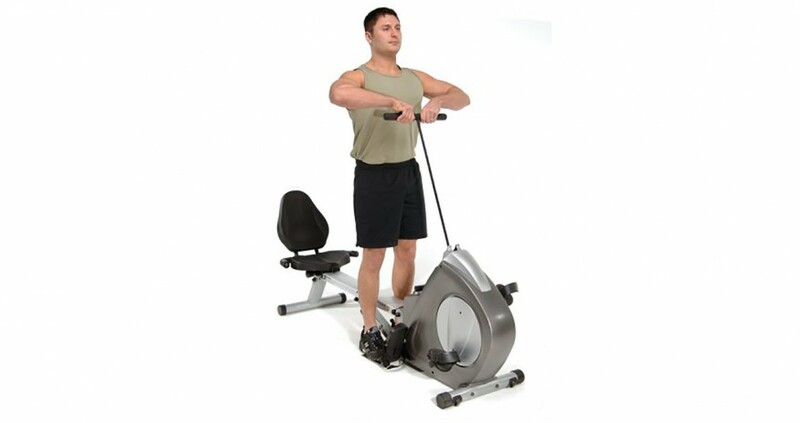 If weight loss is one of your fitness goals, you will be happy to know that you can burn on average about 500 calories per hour using the rower and as much as 400 per hour using the bike. 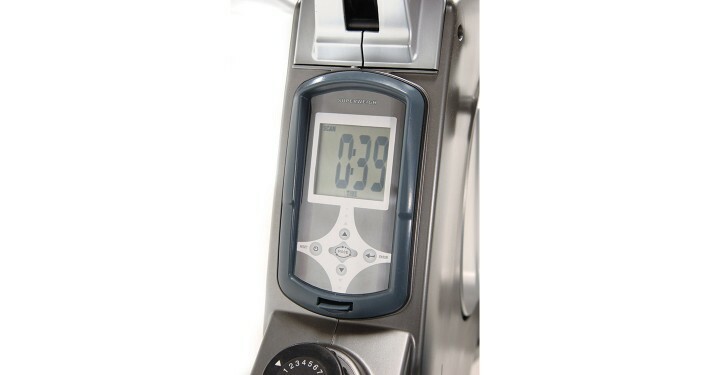 It is even possible to burn up to 800 calories in an hour if you use the highest resistance setting. 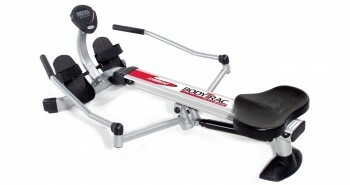 So, you can work out your whole body, burn calories and strength train with this machine. Depending on your fitness goals, it could be worth the price you would have to pay for the honor of owning one. In my experience, many machines that combine more than one function often sacrifice comfort for variety. Not so with the Stamina 15-9003. 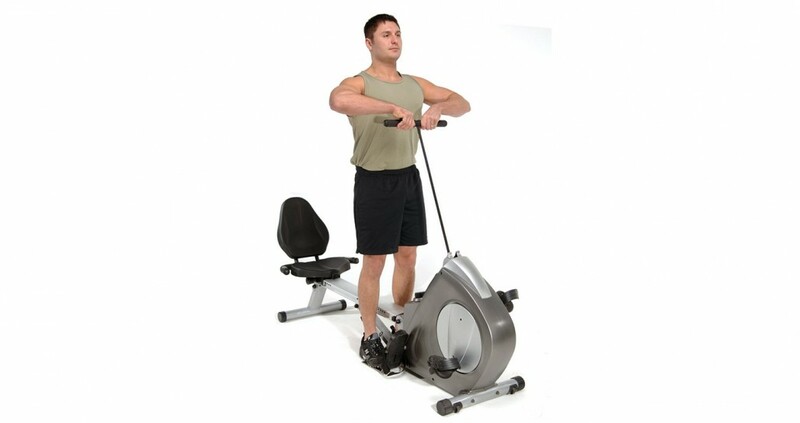 This rower/recumbent bike/strength trainer has a well-padded seat as well as a foam-padded straight-bar handle and straps on the paddles to hold your feet securely. Handles next to the seat are used when biking, and these also were designed for comfort. You will find two sets of footrests, one for biking and one for rowing. 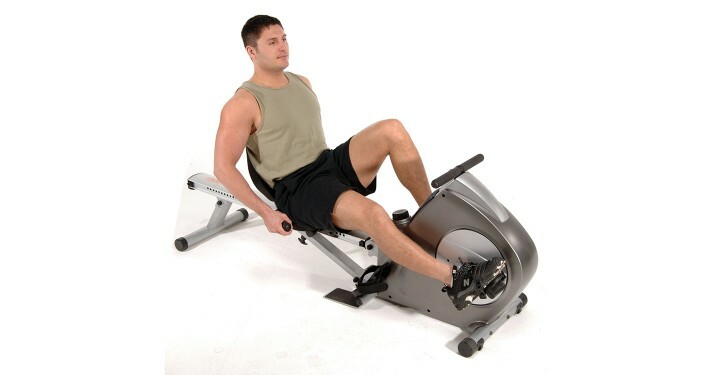 The bike footrest seem to work pretty well and the rower footrests are oversized and will fit most shoe sizes. When you are rowing, your feet tend to move naturally with every stroke and the footrest for rowing will pivot to allow your feet to move freely. 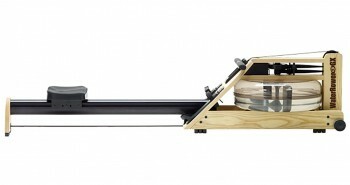 This is a handy feature that surely will make rowing more comfortable. The most common complaint from users is that, for people at more advanced fitness levels, it does not offer enough resistance. For people who are looking for moderate to high intensity workouts, the Stamina 15-9003 should still provide enough resistance for a good challenge, and you will definitely be able to get a total full-body workout. 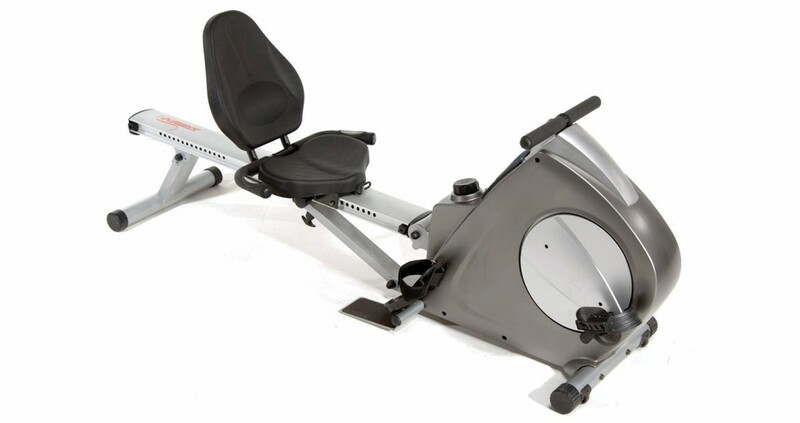 The heart-rate monitor only works while in the recumbent bike function, but if you really need one you can always get a separate heart monitor to use when using the rower and strength trainer. The Stamina 15-9003 is quite a machine, to say the least. All three parts seem to work well and it’s especially nice that you can switch between functions in just a few seconds. At first, the price seemed high but now, considering that you are basically getting three machines in one, I think it might be worth it. Besides, if I were to buy three individual machines I don’t know where they would fit in my tiny apartment. With the 15-9003 I would get three machines in one that is easy to fold and store away in a corner or under my bed. The fact that it is quiet and I would actually be able to hear my TV while working out is just icing on the cake.